While I find the art of mystery in new bands these days quite tedious, I do from time to time like to follow these new acts from the start and see where they end up - and discover just when those layers of anonymity peel away. 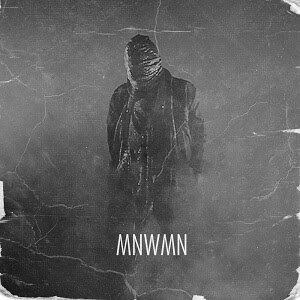 I did it with Alan Pownall's new outfit, Pale, and now it's time for the mystical pop of MNWMN to get the treatment. MNWMN claim to be from Sweden. Odds on not being from Sweden: 2/1. The video for MNWNM's 'Bliss Of Insanity' features an entirely covered up single human. Odds on not being a solo act: 7/4. 'Bliss Of Insanity' is a swirling, breathy experimental pop offering. Odds of being loved by bloggers: 3/2. The only other blog so far to have written anything about the act (and it is indeed an act) are Pasta Primavera, with a few brief words. With only 24 plays on YouTube and 35 plays on Soundcloud at the time of writing, it'll be particularly interesting to see how 'Bliss Of Insanity' does and where MNWMN go next. Download 'Bliss Of Insanity' above or purchase from Bandcamp.